By PPride Faded Glory out of GoldRivers Good Times Begin. By Ch GoldRivers Call Me Mr Good out of GoldRivers Star Wars Hit List. By Ch GoldRivers Call Me Mr Good out of GoldRivers Good Times Again. 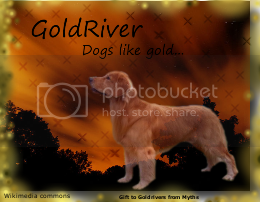 By Ch GoldRivers Call Me Mr Good out of GoldRivers Good 4 Ever After. By Ch GoldRivers Born To Be Bad out of GoldRivers Good Times Missed. By Ch GoldRivers Call Me Mr Good out of Ch GoldRivers Good Wish Granted. By Ch GoldRivers Call Me Mr Good out of GoldRivers Christmas Cheer. By Ch GoldRivers Call Me Mr Good out of GoldRivers Star Wars Treat. By Ch GoldRivers Hey Good Lookin out of Ch GoldRivers Grant Me A Wish. By Ch GoldRivers The Party Continues out of Ch GoldRivers True Love. By Ch GoldRivers Born To Be Bad out of GoldRivers Red Riding Hood. By Ch GoldRivers Hey Good Lookin out of GoldRivers Forever Good. By Ch GoldRivers Hey Good Lookin out of GoldRivers Good Times Again. By Ch GoldRivers Hey Good Lookin out of GoldRivers Star Wars Hit List. By Ch GoldRivers Born To Be Bad out of GoldRivers Good 4 Ever After. By Ch GoldRivers Born To Be Bad out of GoldRivers Good And The Bad.